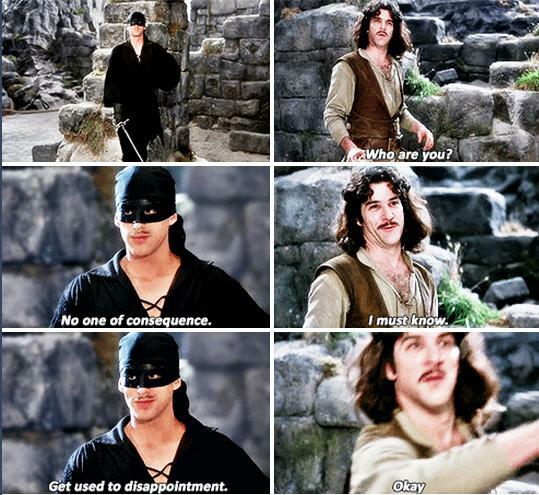 You seem a decent fellow… I hate to kill you. 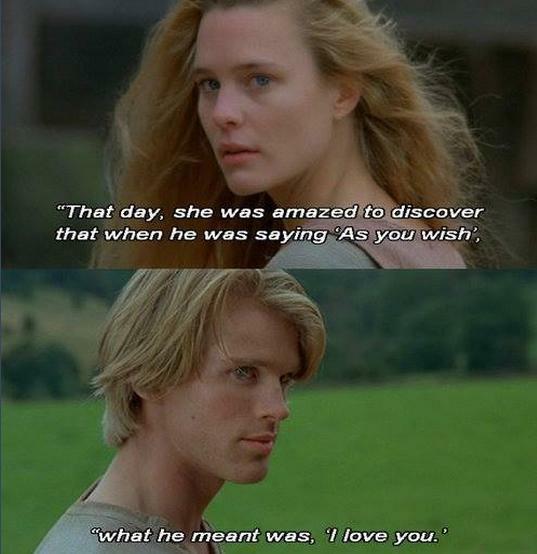 Grandpa: [voiceover] That day, she was amazed to discover that when he was saying "As you wish", what he meant was, "I love you." And even more amazing was the day she realized she truly loved him back. 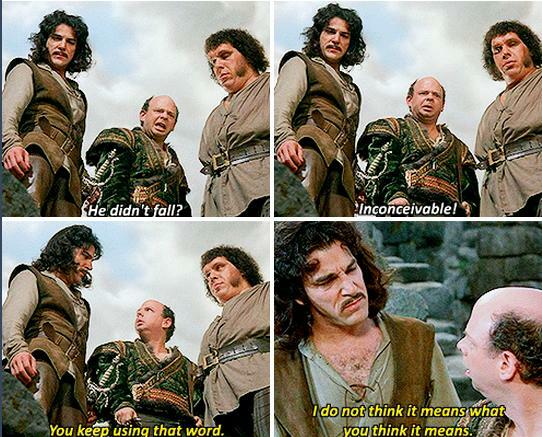 Three years, he said that. 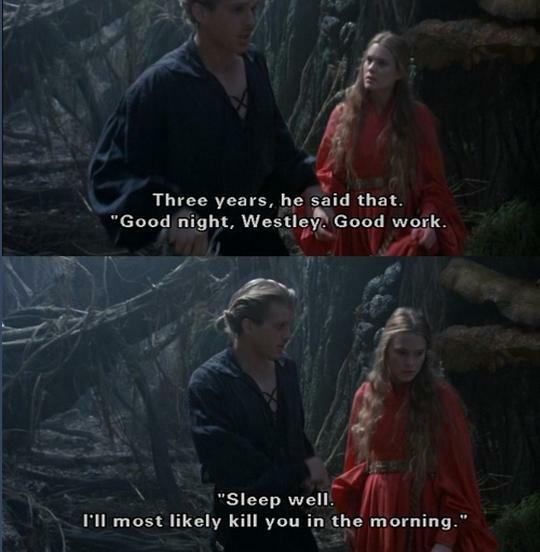 "Good night, Westley. Good work. Sleep well. 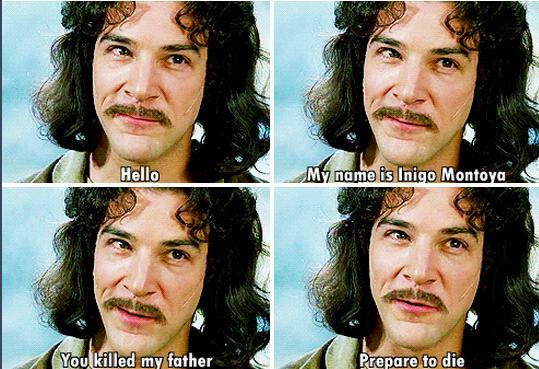 I'll most likely kill you in the morning. 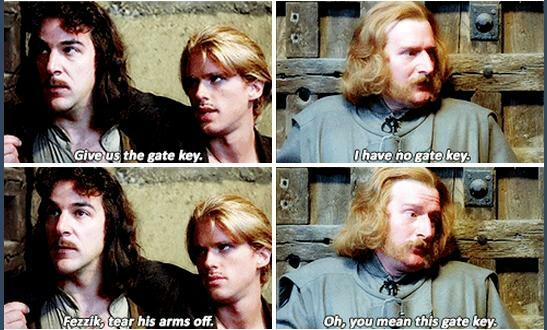 Westley: No, no. 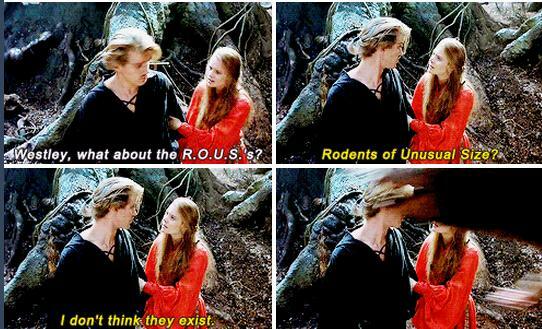 We have already succeeded. I mean, what are the three terrors of the Fire Swamp? One, the flame spurt – no problem. There's a popping sound preceding each; we can avoid that. 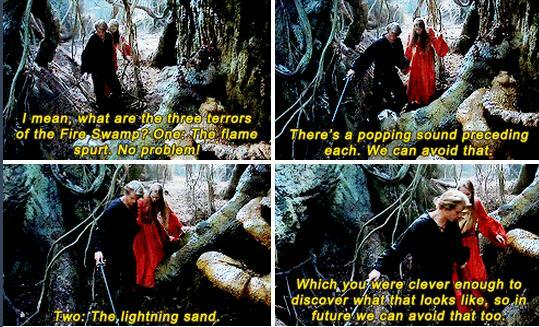 Two, the lightning sand, which you were clever enough to discover what that looks like, so in the future we can avoid that too.